At Castle Honda, we have a team of highly skilled and trained professionals to serve the vehicle needs of our customers. Whether you are the resident of Morton Grove, IL or you are coming from any other part of the States, you are equally important for us. We have everything right here for you ranging from high quality vehicle services to OEM genuine as well as manufacturer certified auto parts. We are in love with Honda because of the amazing technology it brings to our valued customers and we do care about our customers unconditionally. And we aim to make each and every individual, an owner of a Honda of their own choice. Come and pick your beloved Honda right from our New Inventory or get hands on some pre-owned vehicle from Used Lot and drive it on the roads of Morton Grove, IL. With the help of Castle Honda’s Finance Department, you can’t only secure one of the best auto loan or lease agreements with flexible terms but you may also use our “Trade-in Value” option to make huge savings. 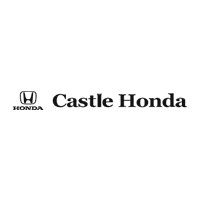 We’re excited to serve you soon at Castle Honda in Morton Grove, IL. I recently purchased a Honda Pilot from Castle Honda, and was very pleased with the experience. They were able to give me a better price than any other dealership I went to. My salesman, Harris, was very helpful and patient. I will definitely make future purchases at Castle. My wife and I bought a new Honda Odyssey from Tony Chammas. Tony was friendly, good-natured, and gave us a great deal. Even after the deal was made, he followed through and did everything he said he would. Overall, a great car-buying experience. I always deal w/Brian in service and he's the best! Excellent follow up and communication and he's always been more than fair and honest with what my car needed. Highly recommend advisor Faisal Asghar at Castle Honda. He was very kind, very knowledgeable, and answered to all of my questions. Im a woman and know nothing about cars.... thanks to him for the professional attitude and understanding! Castle Honda service team are very fast and fixed my vehicle for about an hour!!! Sorry to mention but the supervisor on duty was very unpleasant person- mean to his team in front of the clients, and mean to clients as well. He tried to put customers with appointment for 6pm in front of me. I was scheduled for 5:30pm. Thanks to the loyal client and rest of the Honda stuff to tell him I arrived first. He was totally lost trying to control without knowing what’s going on. However, I will definitely go back to Castle service because of the team advisor- mechanic that was very kind and helpful to me! Thank you!! Ali, the used car manager got my problem solved without hassle after I sent them email to explain about what happened to the used car i just bought from the lot. Also Luke from the service department got my car taken care of right away. This is the type of service I want when I want to do business with.